C'Mon, Let's Play! What are the Best Toys for Beagles in 2019? » C’Mon, Let’s Play! What are the Best Toys for Beagles in 2019? C’Mon, Let’s Play! What are the Best Toys for Beagles in 2019? Beagles are an energetic member of the hound family, known for their gentle, happy, friendly dispositions. They are an active breed that enjoys various dog sports, including hunting, rally, agility, tracking, and competitive obedience. 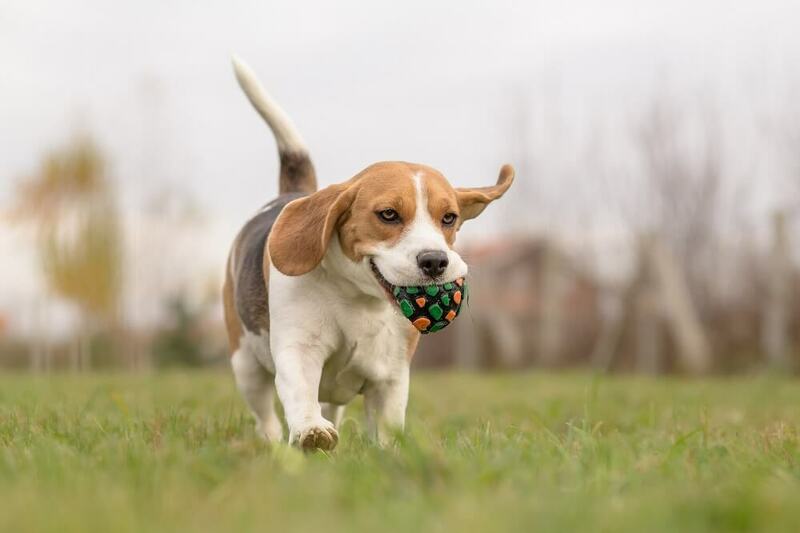 Beagles are sometimes known for having an annoying tendency to park and chase other wildlife, but these bad habits can be fixed with some rewards based training using treats and favorite toys. Beagles make great family pets and are good dogs to raise with children. 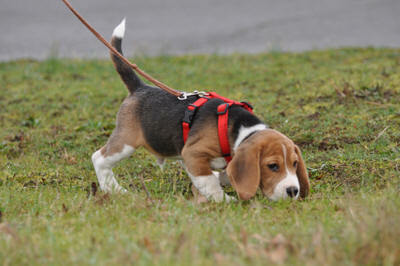 So how do you approach playtime for such an active and energetic breed like the Beagle? Beagles have a small but sturdy physique, hound coloring, and short coats. Many people can distinguish beagles by their long and low hanging ears. These capable scenting hounds were traditionally used as pack hunting dogs, but the modern Beagle that people have come to know and love was bred in Great Britain in the mid-1800s. This breed is very energetic, and need a lot of exercise and training from a young age. A well-trained Beagle makes the perfect happy-go-lucky, devoted family member. How Does the Beagle Like to Play? Beagles are a pretty energetic dog breed with many different interests. Despite being a small to medium dog they still required a minimum of 30 minutes of daily exercise to remain in optimal health. They have superior hunting instincts, plus they love to chew and dig. Bring your Beagle for walks or play in your backyard. Since Beagles have a history as pack animals it is very important that they are always with someone, or that they have a companion dog for when they are home alone. Sure enough if left home alone they could be destructive, noisy or both! Beagles are content when they have company and something interesting to focus their energy on. As hunting dogs, Beagles have a strong sense of smell that is perfect for search and rescue training or tracking trials if their owners have the time to do this with them. Tracking trials are a less intensive version of search and rescue training, where a scent trail is left for dogs to follow. Owners can also try this themselves by placing their Beagle’s food in a new place every day and leaving a trail for it to follow. If interested then check out an AKC sponsored tracking event on how to sign up your Beagle. Agility trials are another effective way to give your Beagle a good workout and allows the two of you to bond closer together. I mean who can resist jumping through hoops? 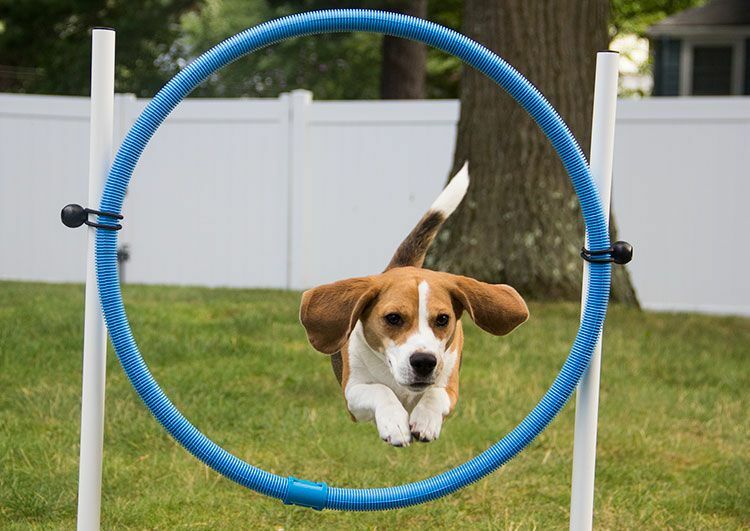 Check out the AKC agility events for your Beagle. Fetch is another game that Beagles love, because they get to run around and play to their heart’s content. This game is perfect because it doesn’t take up a lot of energy on the part of the owner, but their Beagles will get a good run out of it. 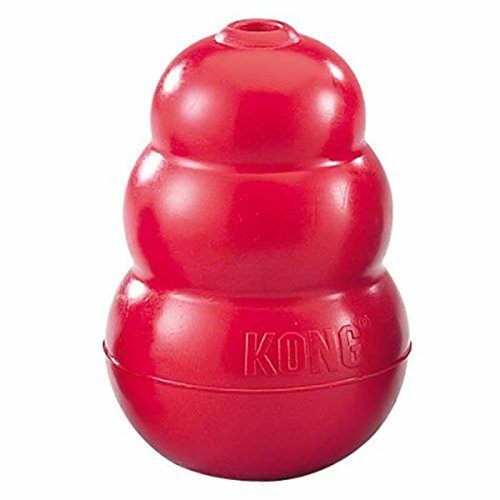 Toss and retrieve toys like the Kong's Classic Flyer are awesome for high energy breeds like Beagles and are made to withstand hours of play. 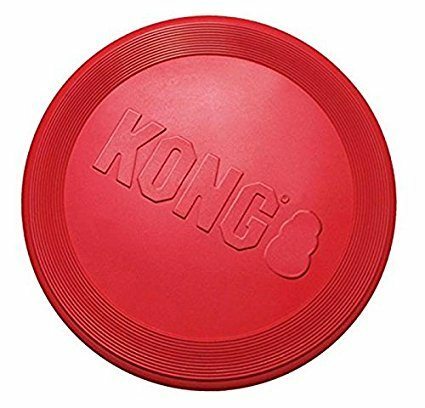 This toy comes in a vibrant red, is non-toxic, durable and soft enough for dogs to catch in their mouths it truly is the best soft rubber disc on the market. Plus its texture help dogs’ teeth grip the frisbee and is pretty indestructible. In a nutshell, your four-legged friend will be guaranteed to be entertained and kept in optimal shape with this toy! It's available in two different sizes: Small and Large so you can find the perfect fit for your Beagle pal! Beagles love to chew things and will chew through things quickly if you let them. The Multipet Duckworth Duck is a long lasting option for dogs that chew aggressively. 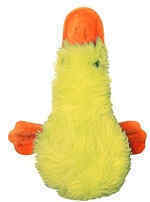 Multipet's duckworth is a comforting plush and squeaky toy your Beagle dog will love. It will withstand rough play if your Beagle is an aggressive chewer or has sharp teeth. This soft large toy is also easy to wash and is non-toxic. This is especially good since many dogs carry them everywhere including cuddling in bed at night time. If you have a dog that tears up most dog toys, try this stuffed squeaker toy... it's durable and has a nice quiet squeaker. In a nutshell, this Plush Filled Squeaker Chew Toys won't fall apart on you just after a few uses and is a great toy for your Beagle allowing you two to bond while encouraging exercise! We highly recommend this dog toy!! Although there are durable soft dog toys out there designed to withstand excessive chewing, owners shouldn’t buy regular stuffed toys for their Beagles because they will quickly tear them to shreds. Always supervise dogs with these types of toys because it can be dangerous for them to ingest fillers or squeakers inside these toys. Beagles are great pets for active families with children. Their happy personalities can put a smile on everyone’s face, and they are great playmates and companions. Buying toys for Beagles is easy since they love to fetch, chew, or do pretty much anything else that will use up their energy! Just be sure to buy them sturdy toys that won’t tear apart after a good chewing session.